In order for companies to be able to make the best decisions possible, one of the biggest factors they always need to take into consideration is data. Nowadays, you’ll find it difficult to find anyone who argues the fact that businesses have never had it easier when it comes to accessing this data. Furthermore, they have tons of it! However, this brings about new challenges that corporations need to tackle. Taking the information that you see from the data and actually putting it to practical use is hard enough, but now, there’s such easy access to a large amount of it that people are struggling to decide what parts of the data are relevant and what parts aren’t. But, along with the challenge of bigger data comes larger opportunities. Despite the fact that adopting the new big data architectures and visualizations may take some time to get used to, if mastered, you could benefit from it incredibly. It’s all too common to come across a company who is being inhibited from its full potential by data analysts and engineers. Often times, it’s simply because they are extremely busy and can’t always deliver the data as quickly as you’d like. The companies who have learned to use advanced analytics have discovered that getting access to data is astonishingly fast! Analysing data in this more contemporary fashion helps to open up new perspectives that businesses may never have seen before. It never stops altering, and being able to keep up with the rate of change gives companies a brilliant advantage. Corporations are also now being challenged to their core. Going against the rules and thought patterns that they’ve always had in place has been effective at breaking out of the mould and progressing faster than ever! Excel spreadsheets are quickly becoming a thing of the past. As we mentioned before, the data in today’s world is expanding at an exponential rate and it is often way too much to be entered into a simple excel document. Data is also up for grabs in all sorts of different places, in which case, you’d usually need the help of a data scientist. Well, things are changing and it’s no longer necessary to have to rely on others to find and use the information. You can carry out all the analysis you need regardless of the enormity of the data that you’re handling by using updates software. 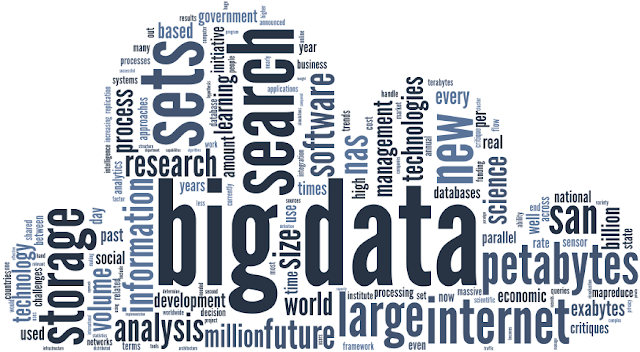 Big data is pretty much what it says it is. The data that used to be typed into Excel and various other software programs is now too big for them to handle; one of the reasons, aside from being larger, is that it’s also becoming more complex. Organisations across the planet are finding it difficult to take this data and actually use it. In other words, any of the value being provided is being wasted. Over 500 executives of large-scale enterprises around the world have admitted that they’re struggling to implement new methods of analysing data. First of all, data analytics are considered in their entire decision making. Secondly, they’ve prioritised the practice and the training needed to bring the entire enterprise up to speed – no branch is being left behind. The jump from big to small data is not an easy task; there’s no way around it. You’ll have to set some time aside to get to know all the in’s and out’s, and how to apply it to your business. It’s a new concept that is also going to require you to start thinking in a different way. Anyone who’s feeling unsure about the whole thing has nothing to worry about. There’s a fantastic guide that “Dataiku” has created to take you through all of the necessary steps. If you have questions, such as “How can I implement big data analytics in my daily workflow?” then this guide is perfect. It takes you through exactly what big data is, how you can advance with your workflow, and understanding data from Excel in a new light. Try not to get caught up in the scale of big data. Instead, learn to find the parts that are actually important and analyse them to create strategies that can be used in important decision-making situations to make improvements.